Sun Tracker is an instrument to follow the position of the sun automatically for the measurement of the direct solar radiation. 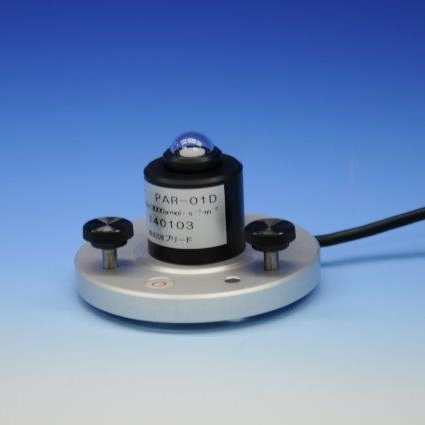 Skyradiometer measures the circumstance light, optical depth of aerosol, and particle diameter distribution. Grating sunphotometer measures the spectroscopic intensity of the direct solar radiation. :CCD camera with fish eye camera for the shooting images of the sky wihin 180 degrees of field of view. Measurement of the I/V curve, transferred from the trigger signal from the solar simulator. Transmits a laser beam to the atmosphere and receives backscattered light from aerosols, for the measurement of the dust and aerosols distribution. Circular plate sensor for the measurement of the heat flow of the walls, soil, and etc. Low cost quantum sensors, best for the observation of Agricultural Meteorology. It measures the quantity of photon within the solar spectrum range of 400 to 700nm, which affects the photosynthesis of the plants.